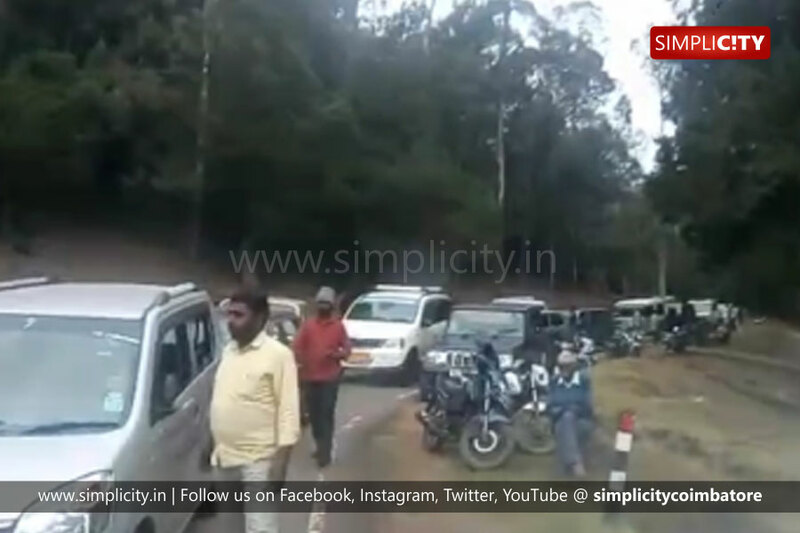 Nilgiris : Tribal people in the Nilgiris staged a road roko against the Forest Department today for not permitting them to worship at their ancestral temple located in Upper Bhavani near Ooty. According to reports, earlier, people were allowed to visit the Muneeswaran temple which is located in the restricted forest area near upper Bhavani. Recently, some devotees and the public who obtained permission from the Forest Department to visit the temple had been found indulging in illegal activities, and hence restrictions have been imposed by the Forest Department. On Sunday, a group of tribal people from Manjoor were prevented entry into the forest area to visit the Muneeswaran temple. Following this, the tribals staged a demonstration demanding permission to visit the temple. "As people consume liquor in the forest area, they leave broken bottles inside the forest. As the forest is home for many wild animals, these broken bottles can injure animals. There have been instances when the devotees have callously lit camp fires inside the forest, which again could end up in a major disaster resulting in mass destruction of the trees," said a forest officer. After the protest by the tribals, the Forest Department relented and finally permitted them to enter the restricted area after they vowed to refrain from illegal activities during the visit.